Director Allison DeBona & her husband & co-director Rex Tilton are currently based in Salt Lake City, Utah where they both dance for Ballet West. 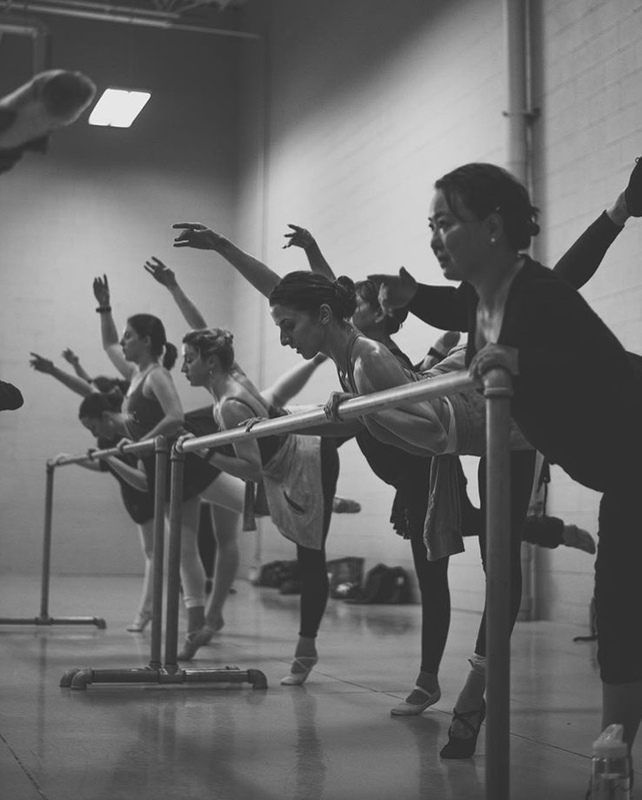 With a dream of inspiring students to explore both artisty and technique in tandem, Allison's love for teaching pushed her to go beyond spending her summers running on the Master Class teaching circuit. Bravely, with nothing but their own money, Allison's flourishing Instagram following, & a connection with Ballet in the City, the couple announced they would be holding auditions for their first 4 week summer intensive in Cleveland, Ohio in June of 2015. Students flocked in numbers to attend. After walking away that summer having taught 70 kids, Allison & Rex knew ArtEmotion was only just beginning. Since their inaugural summer in 2015, ArtEmotion has grown and expanded every year. Currently, Allison & Rex run a total of 3 different student programs, 2 weeks in Cleveland, 2 weeks in Detroit, and 2 weeks in Utah featuring their newest venture, a Choreographic Workshop for pre-professional students ages 16-21 in collaboration with Ballet West. And if you thought that wasn't enough! Allison & Rex also launched a one-week summer intensive opportunity in Salt Lake City, specifically designed for Adult Students, in 2017. In their inaugural summer, ArtEmotion provided adults with a chance to have a full day of dancing and the experience of what a professional dancers schedule is like. The program was a huge success, garnering attention from all over the country and bringing students in from as far as the East Coast & even Canada. Last Summer, I had the privilege of witnessing Allison & Rex at work first hand. If you didn't catch by the similar last name, Rex is my husband, Ray Tilton's older brother! So last summer, Ray & I were in town for Ray's younger brother Ron's wedding (to his beautiful wife Paige!). At the same time, Allison & Rex were in the middle of running their Adult Summer Intensive & going into their Choreographic Workshop intensive. It was then that I saw for myself just how much work goes behind the scenes to make their business so successful. Everything from responding to parent & student e-mails, gathering paper work for housing agreements & lunch orders, to creating a schedule & hiring teachers, Allison & Rex do it all. Allison, you amaze me! Best Wishes to this years run & I know myself and many others are excitedly watching to see how ArtEmotion continues to grow & benefit the ballet community.